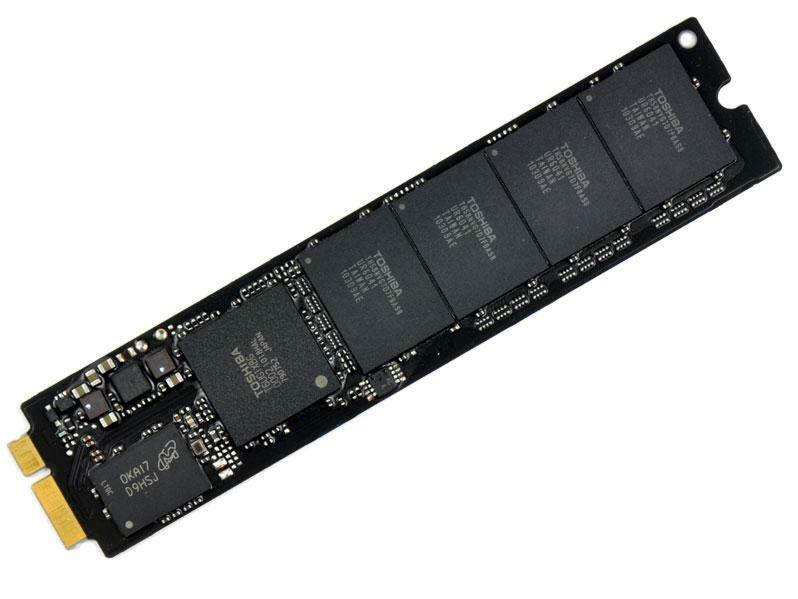 Makers of NAND flash memory found in devices like the iPhone and iPad have worked to transition their manufacturing processes to below 30nm, but the products have yet to be certified by the largest user of NAND flash: Apple. Both Samsung Electronics and Toshiba have made products that are sub-30nm, sources told DigiTimes. The move to more advanced NAND production methods only makes sense if volume production can be achieved with companies like Apple buying the memory. The transition has reportedly been held up because of longer certification times. While customers like Apple approved 30nm-class NAND flash in three to six months, validation now takes as long as nine months. Current industry standards have more stringent requirements for product performance, quality and reliability, sources told the Taiwanese industry publication. The push for standard sub-30nm manufacturing of flash began in early 2011, when Micron Technology was first to produce 25nm chips in volume. They were followed by Samsung's 27nm flash, Toshiba's 24nm process, and Hynix Semiconductor at 26nm in larger quantities. Despite the fact that Apple has not yet approved sub-30nm products, major manufacturers are still engaged in a race to transition to 20nm-class processes, sources reportedly said. Samsung is expected to transition from its 27nm process to 21nm, while another Apple supplier, Toshiba, will move from 24nm to 19nm. Smaller manufacturing processes increase the density of memory in NAND flash, allowing for higher capacities and faster speeds. They can also result in lower manufacturing costs. With hot selling products like the iPhone, iPad and MacBook Air based on NAND flash, Apple is the world's largest consumer of the solid state memory. In fact, the company has on numerous occasions caused a worldwide shortage of flash storage thanks to the popularity of its devices. Apple's new thin-and-light MacBook Air offers internal flash storage capacities up to 256GB, while both the iPod touch and iPad max out at 64GB. The iPhone still offers a maximum capacity of 32GB, as Apple has not increased the storage offered in its iOS products in a few years.